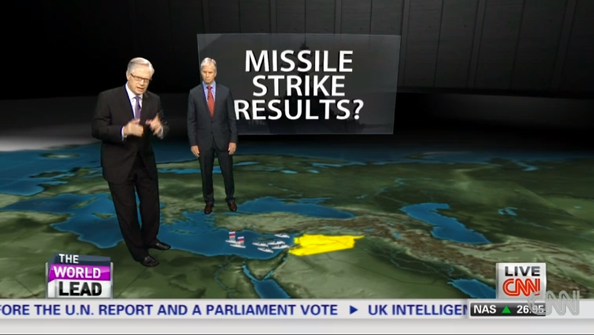 CNN is making use of its virtual environment technology in its coverage of the events in Syria. During “The Lead” Friday afternoon, Tom Foreman and CNN contributors Maj. Gen. “Spider” Marks were placed on a virtual map of the region surrounding Syria, where they explained possible scenarios and issues surrounding an attack. The virtual environment also included large floating panels with text as well as 3D flags placed on key countries. In addition, the map reacted in realtime to Foreman making a gesture that made virtual ships pop up in the Mediterranean sea. As the map faded into the horizon behind Foreman and Marks, a black faux wall of sorts was visible, making it appear as if the men were standing in a large bunker or hanger with the map spread out on the floor. 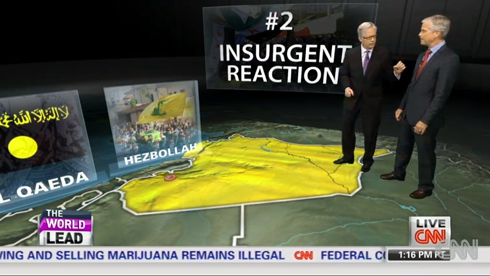 Toward the end of the segment, CNN cut to a single shot of Marks that featured almost no map, showing the full scope of the environment. 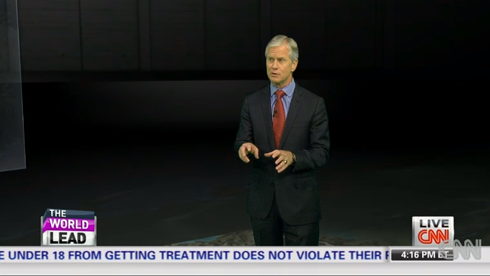 Camera moves throughout the segment were fluid and the 3D graphics reacted well in realtime. 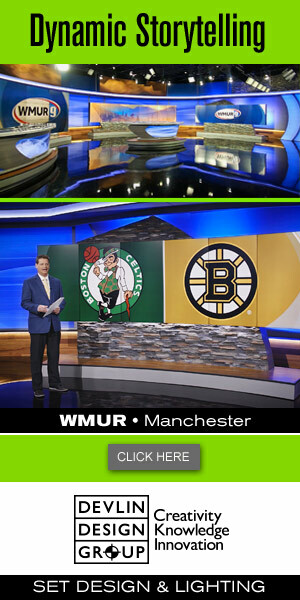 Certain parts of the segment also included fairly noticeable reflections from the green screen appearing on Foreman and Marks. A similar setup was used in March to place Tom Foreman in a virtual pack of goats.